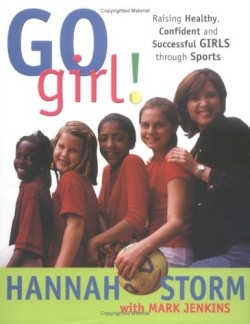 The book identifies areas of interest for parents of daughters from infancy to young adulthood, such as teaching girls to be good sports, knowing what age to begin athletic participation, choosing the right sport for the individual girl, and providing nutritional needs. The authors emphasize the importance of being aware of weight issues: “Eating disorders are extremely harmful—and can be deadly—so it is extremely important if you are the parents of an adolescent girl to know how to identify symptoms of anorexia and bulimia.” The book includes highlighted tips for parents to encourage good habits of their daughters from an early age, including runner’s safety, a weight management program, and emergency medical terms. Co-author Storm is the moderator of NBC’s NBA Showtime and the nation’s top female sportscaster, and Jenkins is a consultant at the Sports Medicine Division at Boston Children’s Hospital. Go Girl! is an informative how-to book for parents of daughters to encourage sports participation and is made even more enjoyable by its great stories and the experiences told first-hand by its authors.